'Tis the Season to celebrate! 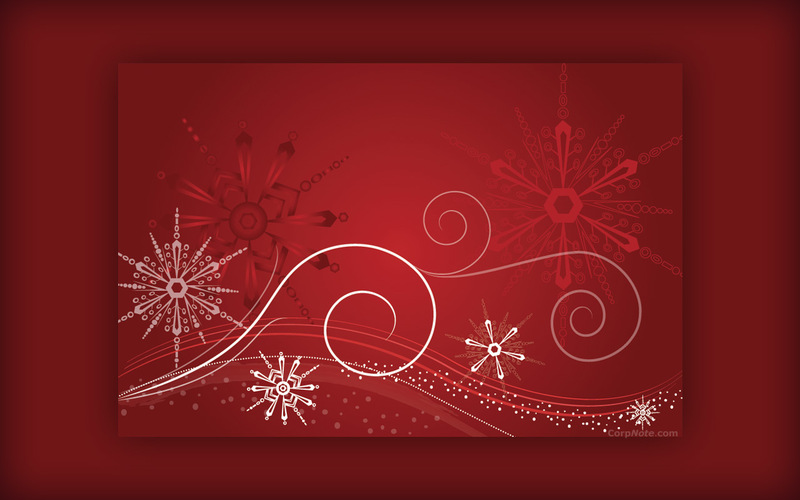 And we've got great new winter wallpapers to get you into the holiday spirit! 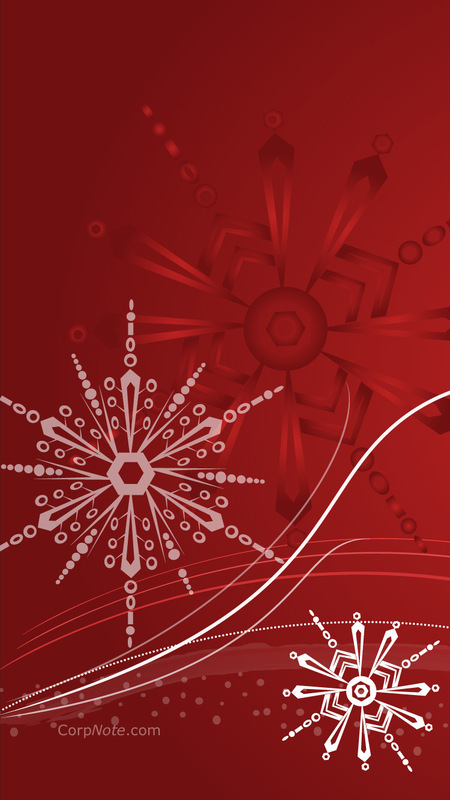 Our snowflake wallpaper was inspired by one of our most popular season's greetings eCards. And to go along with the winter theme, we have a cheerful polar bear that doesn't mind the cold; he's got his fur, a Santa hat and scarf to keep him warm. He began as a doodle during a CorpNote meeting. Yes, the boss believes that doodling during meetings is a perfect brainstorming activity! So if you're looking for a change, download and enjoy our new free holiday inspired digital wallpapers to decorate your screens for the season. 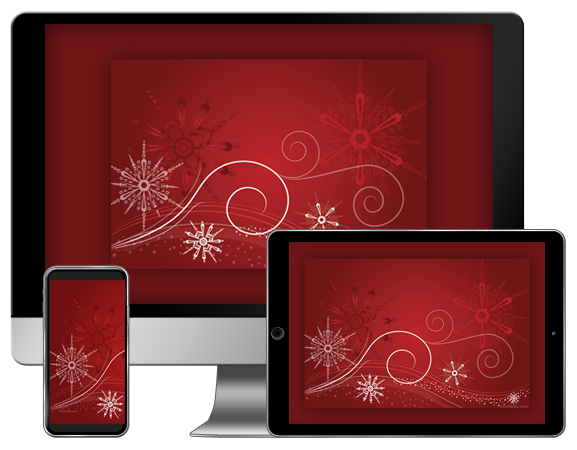 If you like these wallpapers, you can send the matching holiday eCards. 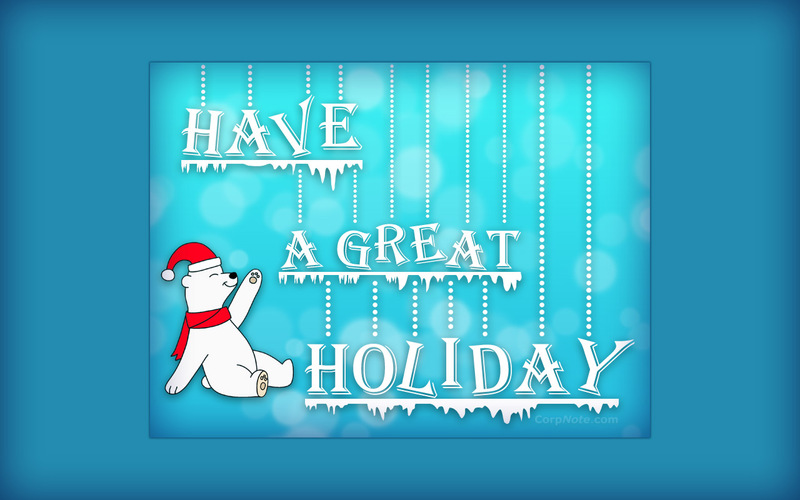 We also have other winter and holiday themed eCards for thank you notes, sales flyers, reminders and more. With CorpNote, you can send an unlimited number of holiday eCards and invitations for just $20 per month and there's no long term commitment. Looking for ideas for your holiday eCards? 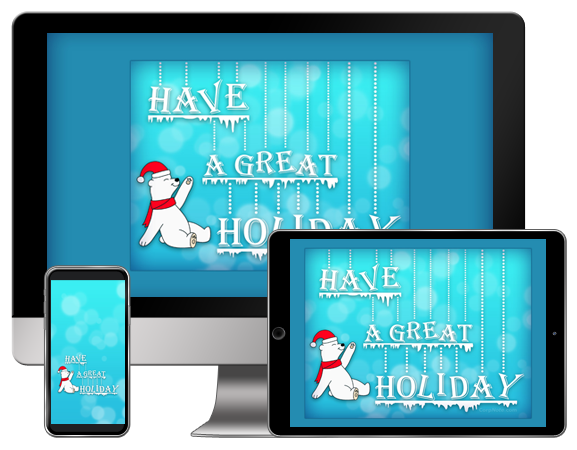 You can create and schedule your all of your holiday eCards now; and, if you later see a new card design you like better, no problem! You can change your holiday cards up to the date they are scheduled to be sent.